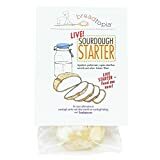 Once you get this fast sourdough starter recipe making bread, pancakes and biscuits will be a daily thing! Making a sourdough starter can be as easy as adding equal parts of flour and water to a mason jar. Cover the mason jar with a coffee filter then put the ring on. For the first week every day add 2 tablespoons of flour and water. Mix well. Using a variety of flours, like flax or rye can speed up the process. 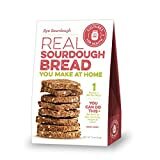 There are sourdough starters you can purchase on Amazon which include the fast sourdough starter recipe to get it started. 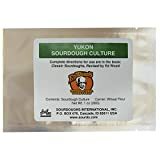 Once you get a sourdough starter going, you can freeze a bit in case of disaster or if you are going on vacation and don’t want to take your pet starter with you. I make a ginger bug with my sourdough. Fred (my sourdough starter’s name) and Ginger sit on my counter behind my coffee pot. It makes remembering to feed my yeasty pets easier. Now that you have your sourdough starter going you need a few easy bread recipes. 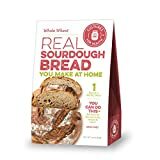 Over the years of making sourdough bread I have found a few tips that make consistently good sourdough bread using a sourdough starter. Add the water last you are going for a wet looking dough but not soupy. Let this sit on the counter for a couple hours then put in the fridge overnight. The next day start folding your dough. Folding dough in the process of wetting your hand, then lifting the dough up and folding it on itself. Do this 4 times. Once in each cardinal direction. Do this every hour or so for the next six hours. After 6 or so turns you will need to shape your dough. This is the method I use. At this point I put my dutch oven in the oven and crank the heat up to 425. Leave the lid in the oven next to the dutch oven, not on it. Let this heat up for a good 30 to 45 minutes. 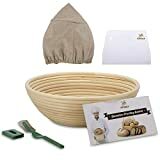 If you have left your dough sitting on the counter covered with a bowl you are going to need to tuck it under again. I do this all the time. 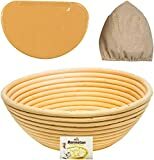 Make sure you have flour under the loaf and just invert a glass or plastic bowl over the dough. When you get ready to put the dough in the oven you will want a piece of parchment paper. Put the dough on the parchment paper seem side down. Make sure it is tucked in good with a nice tight top of the dough. Dust the top lightly with flour. Put in a couple of slashes about a 1/2 in is good. Then put the whole thing including the parchment paper in the over. Cover with the lid and let cook for a good 20 minutes. No peaking! After 20 minutes take the lid off. Slide the parchment paper out from under your bread and turn the over down to 375. Let the bread finish cooking for another 30 minutes or so. It will sound hollow and be golden brown when it is finished. Let the bread sit on a rack for an hour or so to cool before cutting. I know, but resist the urge to cut it right away! Can’t Wait For Your Starter? 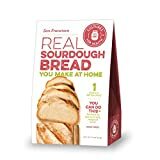 To make a mock sourdough flavor to your bread while you are waiting for your fast sourdough starter recipe to develop, do this. Use 1/2 cup of butter milk combined with a half of a packet (for just one loaf) of INSTANT (also called rapid rise) yeast in the above recipe. Don’t use any starter and only go with 1 3/4 cup to 2 cups of water.